Frightening creatures have overtaken the beautiful Starling Forest, destroying everything in their path.  Jackson and Nekkar narrowly escape the beasts together, but Nekkar blames the Son of Earth for releasing the present darkness in Arcas. The rocky, new friendship strengthens as they journey through dangerous lands toward the Free Realms. Can their loyalties survive when the beautifully gutsy Princess Andromeda interrupts their quest and the darkness of war batters their souls? 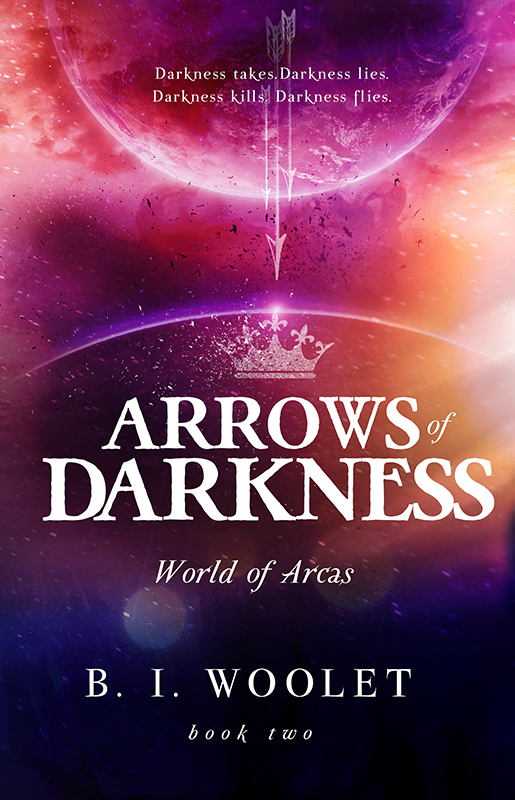 While Rigel, Otava, and Merope work together to rescue the six sisters trapped at the White Palace, Sephdar returns from shadowy crusades to find White Wings’ army leaderless. The new self-proclaimed ruler has a plan for the Seven Sisters and a plan for The Bridge to Earth. 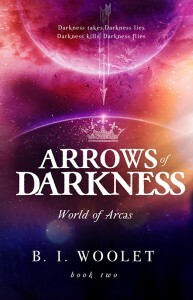 But when his ambitious arrows pierce the peaceful kingdoms, an unlikely force confronts the dark lord and the future of the crowns is changed forever. 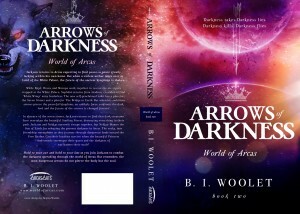 Hold to your axe and hold to your lass as you join Jackson to combat the darkness spreading through the world of Arcas. But remember, the most powerful arrows do not pierce the body but the soul. 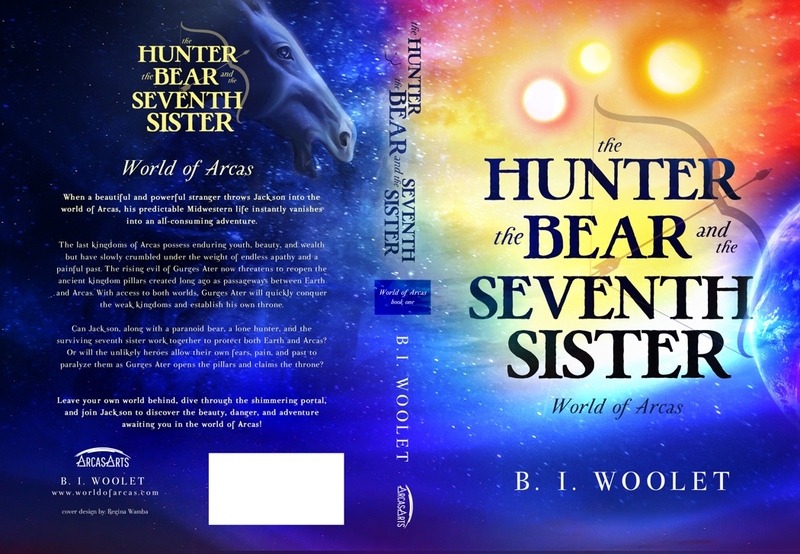 Read more about Jackson’s first journey into the world of Arcas in the book: The Hunter, the Bear, and the Seventh Sister. Orlund Johannes looked out at the tumultuous waters swirling twenty feet below the falls. Taking one last breath, he pushed against the rocks to his right with the blade of his paddle. Plunging down, down, down through the liquid vector splashing violently around him, he held his paddle straight alongside the cockpit and tucked his body as close to the deck as he could bend. The riotous waves were deafening, but his mind remained clear and focused. He dove straight down, beneath the rapids. Battle raged against the orange hull of his kayak, flipping him instantly. His paddle’s blade crashed into a hidden rock pile underneath the plunge pool. It broke, sending the half in his left hand flying violently backward into his lip and nose. He was still holding his breath but now tasting blood.